I love historical fiction, particularly when it covers an aspect of history that I’m not already familiar with – I love having the opportunity to learn something while being entertained, it adds an extra dimension to the story that I really enjoy. That said, there are certain periods of history that I tend to avoid in my historical fiction. There are timeframes and historical events, like the Holocaust or slavery and the Civil War, that I find difficult to enjoy because of their underlying impact on humanity. I read fiction to be transported into the world of the story; I don’t generally want to be transported to a place of horror and despair. I will read non-fiction about these eras and events, because I don’t expect the same things from non-fiction. I like being generally well-informed, and to consider myself so, I feel compelled to read non-fiction across the spectrum of human emotion, because I firmly believe that ignoring the distasteful elements of history makes us subject to the risk of allowing them to be forgotten or mitigated in our memories, and thus to be repeated. So it will come as a surprise to you (it did to me!) that I no only read Ellen Butler’s novel of female spies in Nazi-occupied Germany but that I so thoroughly enjoyed it. 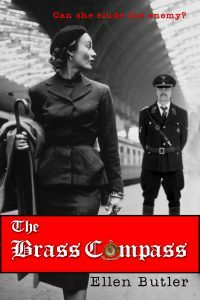 The Brass Compass is the tale of Lily Saint James, a female operative of the Office of Strategic Services (OSS) – the precursor of the modern CIA. But more than that, it’s a tale of women in a war that tends to focus on men, largely because the major players (at least publicly) such as Churchill, Hitler, and Stalin, were all men. Lily is a delightful heroine and protagonist; she is plucky, resourceful, clever, and above all, human. Despite her amazing skills, she has moments of self-doubt, of fear and despair, that keep her from feeling like a James Bond-esque super-spy, even when her efforts to escape the hostile (both geographically AND geopolitically) German landscape seem to render her fairly super-human. She is a marvelous combination of innocent, savant, and Everywoman. Throughout her life, she plays the hand she is dealt even when everything in her rebels against the constraints (real and perceived) of family, society, and government – and even when the deck seems stacked rather heavily against her. And she not only plays it, she plays it with aplomb. Lily’s harrowing travels through the wilds of Germany, the see-saw of Switzerland, and the mania of Occupied France offer a slightly different picture of Europe at the end of World War Two than I’ve seen before. There’s a slightly off-kilter feel; the evocative writing allows the reader to join Lily in questioning everyone around her (and even her own motives, at times) as she wonders who can be trusted and how she is going to not only navigate to freedom but live with herself once she gets there… There is an underlying love story that is teased out throughout the course of the book. At first, I must admit it felt like a distraction. But as the plot thickens, and secrets are revealed (some intentionally, some not so much), the pieces came together and coalesced into an integrated whole that not only made sense, it made history. Pacing is often an issue in historical fiction. 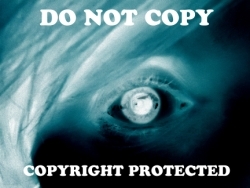 There often seems to be a desire by the author to prove that they did their research; the result tends to be a glut of detail intended to showcase the effort, occasionally at the expense of the overall story. Not so, here. Lily’s escapades are laid out with just the right amount of detail to keep them fascinating yet still fast-paced. This is a story for history lovers and those who enjoy a rollicking good spy adventure. I thoroughly enjoyed it and am looking forward to more historical fiction from the talented woman behind the tale! My review copy was provided by the author; this provision in no way shaped my review.